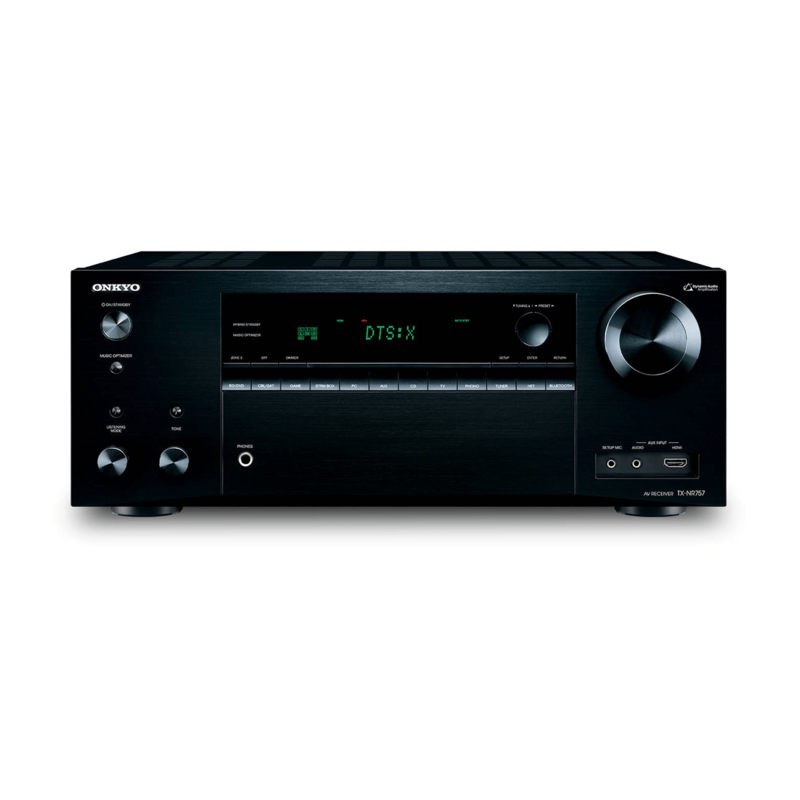 The Onkyo TX-NR757 brings thrilling cinematic sound into your home. Its THX Certification guarantees the same high volume, low distortion audio heard in commercial theaters. This receiver meets the most demanding & rigorous performance certification: in 2,000 tests it passed 75 test categories, covering 14,000 data points. THX® Select2™ Plus is recommended for screen-to-seat viewing distances of 10-12 feet. 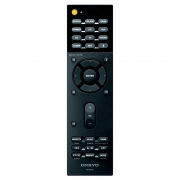 The Onkyo TX-NR757 includes system integration connectivity such as RS232 with support for 2-way communication with 3rd party home automation systems. An infrared (IR) input allows pass-through of IR signals to control other devices connected to the TX-NR757, such as a TV or Blu-ray player. The 12 volt trigger can be used to raise/lower a projection screen, power on/off an external amplifier or open/close the drapes with the touch of a button. A detachable power cord and an optional rack mount kit make for easy installation. 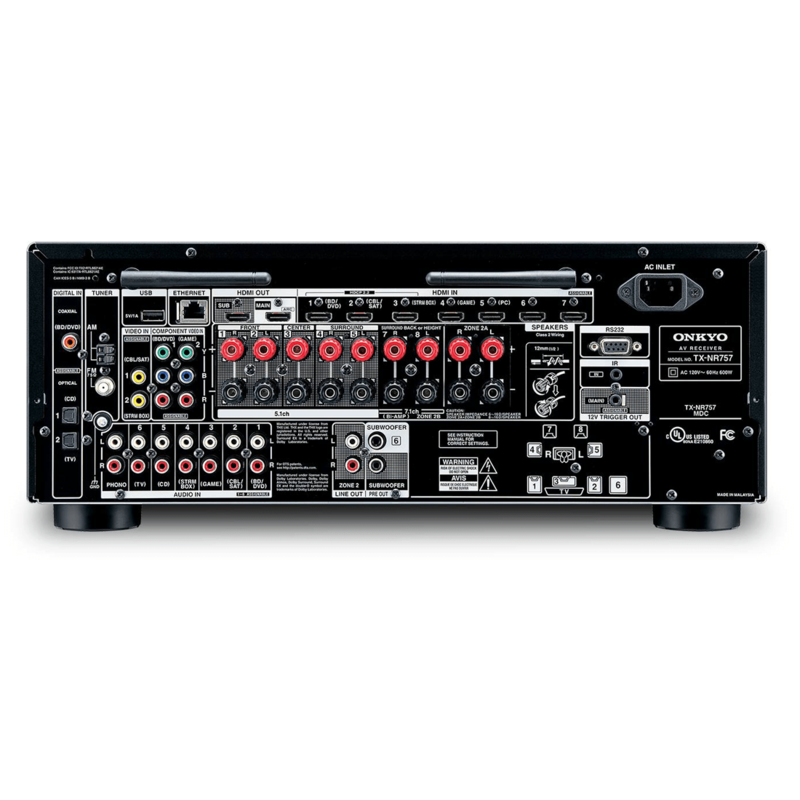 Backed by 70 years of experience building high-grade audio components, the Onkyo TX-NR757 amplifies accurate, noise-free signal processing with high-current power for dynamic speaker control. The result is pure, rich and authentic sound. 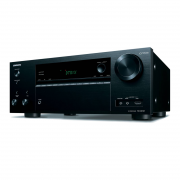 Onkyo’s dynamic audio amplification delivers massive power at 180 W/Ch (6 Ohms, 1 kHz, 0.9% THD, 1 Channel Driven)/ 110 W/Ch (8 Ohms, 20 Hz-20 kHz, 0.08% THD, 2 Channels Driven). 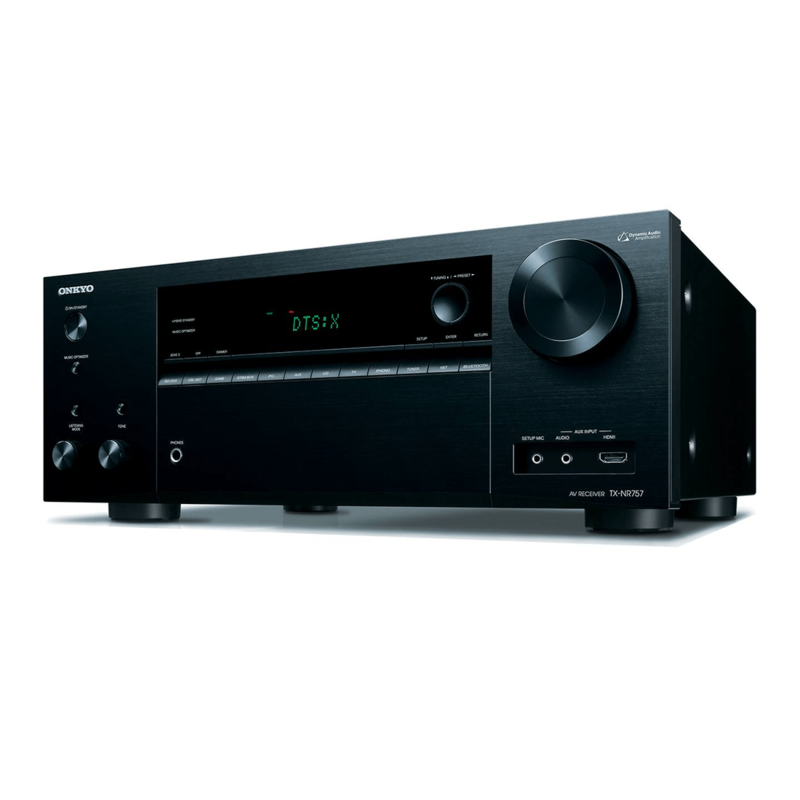 The Onkyo TX-NR757 Powered Zone 2 brings audio to speakers connected to the receiver into a second room. With the dedicated Zone 2 DAC for Net & SPDIF, you can send internet audio and digital audio sources connected via coax or optical (such as Apple TV) to your second listening zone. Also, Zone 2 A/B speaker selection lets you double-up your zone 2 speaker selections. Dolby Atmos moves sound around you in three-dimensional space, so you feel like you’re inside the action. The Onkyo TX-NR757’s Dolby Atmos decoding transports you from the ordinary into the extraordinary. Stream any music from your smartphone, laptop, or PC to the Onkyo TX-NR757 with ease. Control playback with Chromecast enabled apps you know and love from your iPhone, iPad, Android™ phone or tablet, Mac® or Windows laptop, or Chromebook. 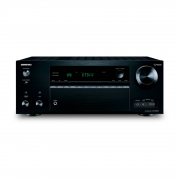 The Onkyo TX-NR757 has AirPlay, Wi-Fi and Bluetooth technologies built in. Stream virtually any audio from a smartphone, tablet or PC to your home theater for powerful sound. 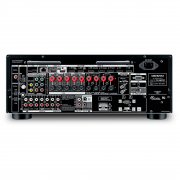 AccuEQ conducts two measurements- one to set the level, the other to set the distance and crossover for ALL speakers, including the subwoofer. In the second round of measurements, your room’s sonic characteristics are evaluated. Using this information, AccuEQ is able to prevent standing waves from forming by adjusting frequency response. Choose to include or bypass EQ measurement for front left and right speakers, and choose to automatically or manually set the EQ. Further, you can save your own manual EQ settings into three available presets. The new AccuReflex technology aligns the phase of upfiring “height” speakers with the sound coming directly from your other speakers. Any delay is resolved so that everything arrives at your ears at the same time. The result is cohesive reproduction of object-based soundtracks. 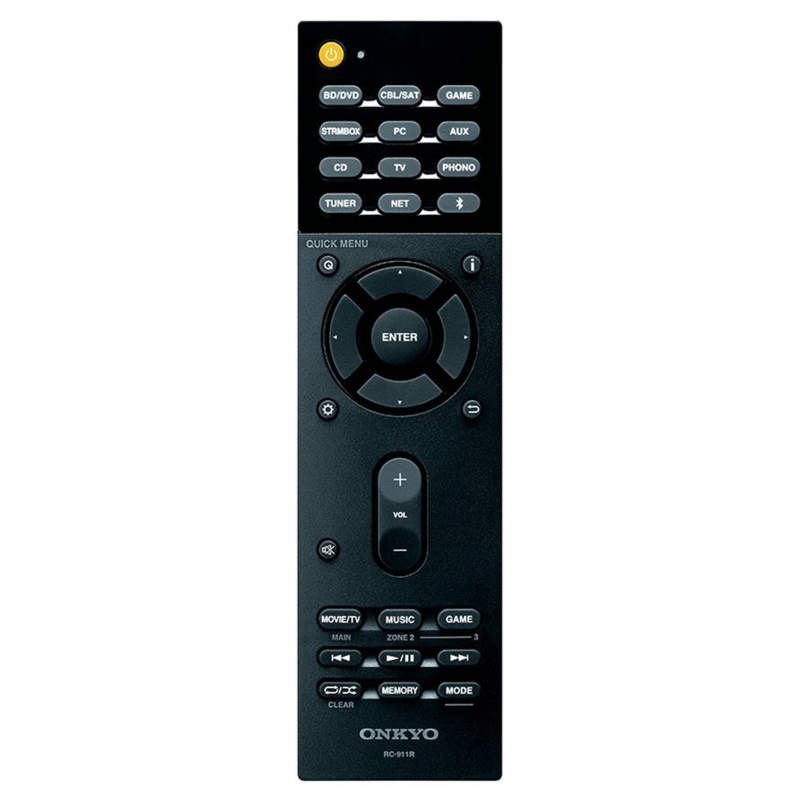 FlareConnect mirrors network audio, analog, Bluetooth and USB sources connected to the Onkyo TX-NR757 and allows distribution to compatible speakers and components in other rooms. Music selection, speaker grouping, and playback management across the home are built into the Onkyo Controller app for iOS and Android.